To start with let me say that with all the laws surrounding privacy and repossessions in general, there is no way someone could make a tv show with actual repos, unless they took a real risk in getting sued, blocked out everything including street names and tags, and even more so blocked out any face involved. I am not sure how it would go if they got the actual debtors to sign releases allowing them to air this privacy, but my opinion is that the shows are fake. Without naming names, especially the recent shows out there. I mean could you imagine the lawsuits involved with the physical contact alone. Every state has a breach of peace law and as soon as the debtor comes out and raises a stink, it is supposed to be over. In fact it doesn’t even have to be the debtor, if anyone comes out and raises a stink the repoman has to go, no questions asked. I watch the shows on occasion and laugh when I see the physical fighting going on. The fact that they make contact with each and every debtor for the keys, the fact that they opening tell a non registered owners what it is about, that sometimes they complete repos with the police involved which sometimes really does happen but it is typically not allowed in most states. But then if you think about it, how else could you make the show popular. Even high actions companies like mine was with some of the hardest skips in the world would have been boring most of the time for a TV show unless they filmed only the juiciest parts that occured only here and there. Or even when effectively repossessing inside the ghetto being antagonized by by standers, being called racial slurs, getting threatened and the list goes on, still wouldn’t be worthy enough for a TV show. These shows bottom line have to be false, I even wonder if some of them truly are repossession companies or just 100% actors. If they were repo companies I highly doubt they would risk losing their license for a TV show. 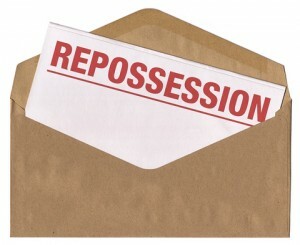 The repossession industry is one of the most regulated industries in several states. States love to fine the crap out of you and if you should be located in an anti small business state such as California, they would have zero problems shutting you down for the smallest incident. It kind of reminds me of some of the other supposed reality shows out there in the recent years. At first you think, wow the storage locker business might be a better industry then what you thought, which really isn’t right. Imagine the guy out of work that see’s one of the storage shows and takes the little money he has a buys a locker at auction. Chances are it won’t even come close to some of these fabricated lockers going on the TV shows. Same in the repo business, imagine the guy that watches the repo show, starts working and starts having physical conflicts and gets himself sued thinking all along that’s how it is. In a state like Florida, a repo agent must attend a 40 hour schooling and take a test. It is also the sponsors responsibility to advise the learning agent what is ok and what is not. But think about all the states that do not have the schooling requirement. For this reason I think it is imperative to do the schooling prior to doing repos whether it is a requirement or not. Do you need to go to school to become a repossession agent?